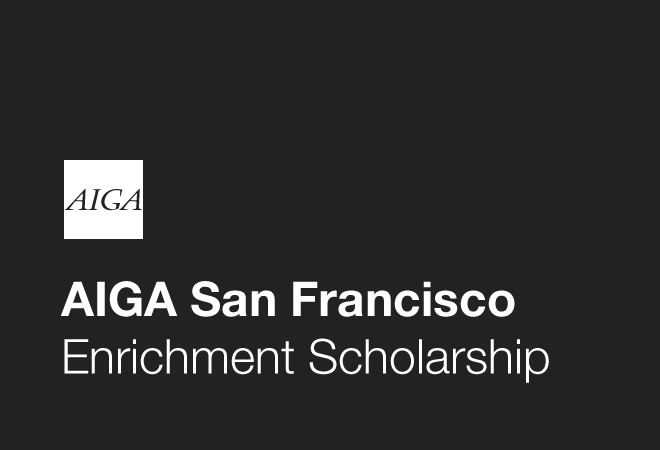 I just received word that I’ve been awarded both the AIGA Enrichment Scholarship and the Rick Tharp Scholarship from the San Francisco chapter of AIGA. My most sincere thanks to AIGA and judges Sara Schneider (Chronicle Books), Jason Schulte (Office) and Anthony Dines (The Barbarian Group) for the honor. I was very disappointed that I couldn’t be there to accept them in the flesh on Portfolio Day 2009.